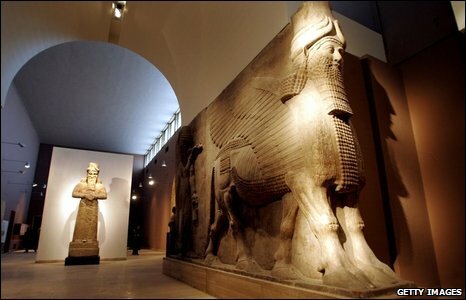 A winged, human-headed bull on display at Iraq's National Museum, which reopened on Monday 23 February. The museum closed in 2003 after it was looted in the wake of the US-led invasion. 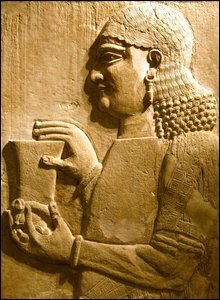 Part of an exhibit in the Assyrian Hall. 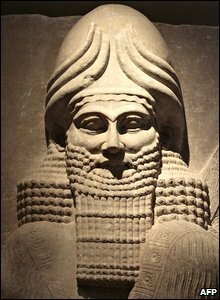 Only about a quarter of the estimated 15,000 artefacts stolen from the museum have been recovered. 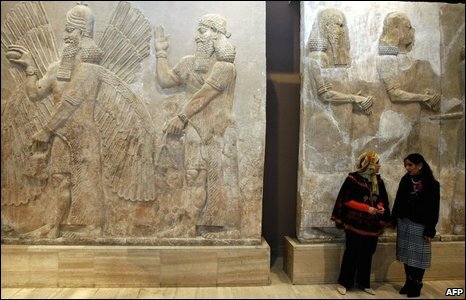 The reopening of the museum is an important milestone for the Iraqi government in the long road back to normality. 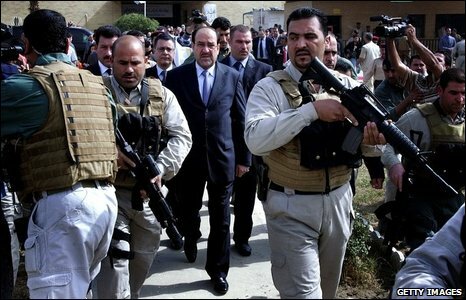 Iraqi Prime Minister Nouri Maliki arrived for the ceremony surrounded by bodyguards. He thanked the many countries which have co-operated in trying to retrieve some of the looted antiquities. 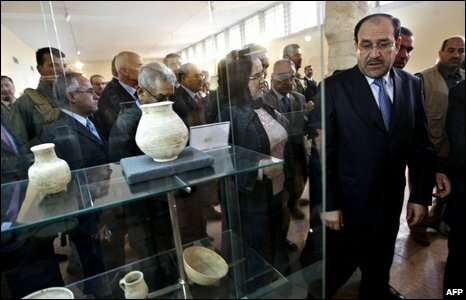 During his visit Mr Maliki toured the artefacts on display. He described the looting of 2003 as having taken place in Iraq's "dark age". A detail from one of the exhibits. 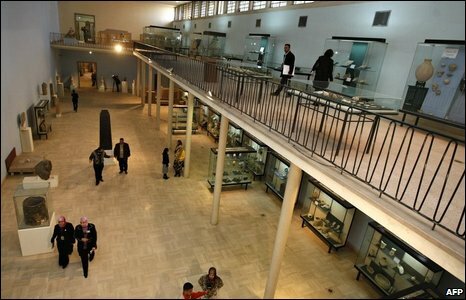 One of the museum's galleries is now dedicated to some of the looted items retrieved from inside Iraq and another to those returned from abroad. One of the newly refurbished exhibition halls. Not all of the galleries are open yet. There remains a lot of work to to do before a comprehensive selection of the museum's treasures can be displayed. 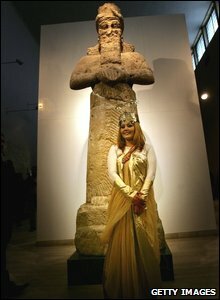 A museum employee poses with a statue to mark the reopening. But some scholars have criticised the timing. They say more work is needed to bring the displays up to modern standards. 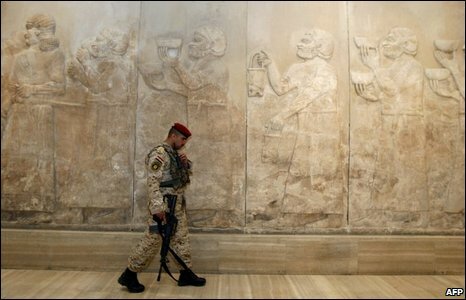 An Iraqi security officer walks through the Assyrian Hall. Museum officials say enough material is on display to make a visit worthwhile and the rest will follow in time.